Nannyberry is an understory shrub or small tree, often in small, open colonies. Leaves are opposite, simple, 2¼–3 inches long, elliptical, finely toothed with the teeth pointing outward, tip slender and long-pointed; prominent network of veins; shiny green above, yellow-green with tiny black dots below. Bark is reddish-brown or gray; irregularly furrowed into squarish scaly plates, with skunklike odor. Twigs are yellow to reddish-brown when young, becoming grayish green later, covered with a white, waxy coating. Flowers May–June, small, white, in upright, round-topped clusters 3–5 inches wide; flower stalks with reddish scales. Fruits September–October, drooping to upright clusters of 15–30; berrylike, blue-black with a whitish coating, ½ inch long, elliptical, one-seeded. Occurs in low woods, wooded slopes, rich, moist valleys near streams, and fens. Associated species included northern red oak, white oak, blackhaw, American plum, and sumac. The only collection of this plant growing natively in our state was from Schuyler County. It has been introduced sporadically elsewhere and can spread from cultivated plants. Uncommon in the wild in Missouri, though it is also used in native-plant landscaping. 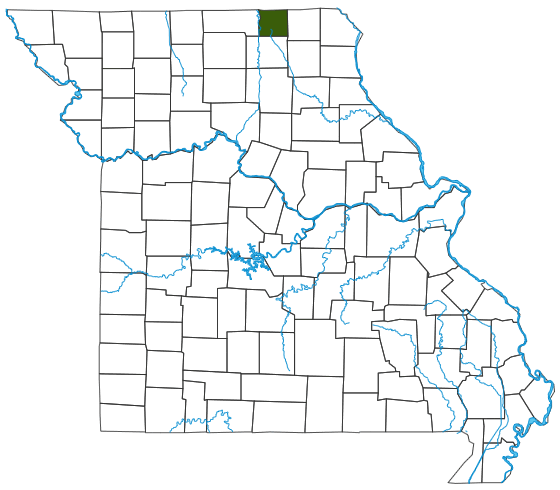 It is officially a Species of Conservation Concern in our state, but its rarity here may be because Missouri is at the southern end of its range. The species occurs naturally from New Jersey to Georgia, Ohio, Indiana, Illinois, northern Missouri, eastern Nebraska, north to Quebec, and west to Manitoba and North Dakota. Best adapted to northern Missouri for use in windbreak and landscape plantings. In cultivation it can spread from root suckers into thickets and has purplish red fall color, with rose and green highlights. Native Americans used viburnums medicinally. Many birds and mammals eat the fruits, and the twigs, bark, and leaves are eaten by deer and beaver. Thicket-forming shrubs provide important cover for wildlife.